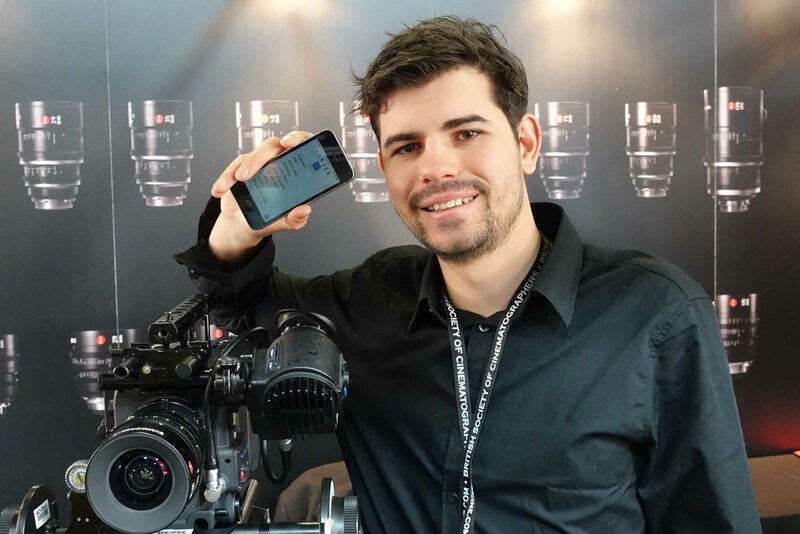 Istvan Djuroska (above, at BSC Expo) is a Camera Assistant with a great Lens Database App called LENSER. Picture this. You’re prepping an equipment package, and one of the setups involves a drone shot. The lens cannot weigh more than 2 kg. What are your choices? Or you’re looking for the closest focus prime, or just want to check on the aperture of an intended set of lenses. “That gave me the idea of LENSER,” Istvan said. It’s an offline database— no internet connection is needed. required. You can search by Manufacturer, Keyword, Focal Length, T-Stop, Close Focus, Weight, Length, Horizontal and Vertical Angle of View, Anamorphic Squeeze.